I made these delicious bites of goodness a while ago and never got the chance to post the recipe. The brownie batter had a hint of espresso flavor and the cheesecake was perfectly moist and not too sweet. If you’re not a fan of espresso, its ok! Only a few people could actually taste the espresso in the chocolate. 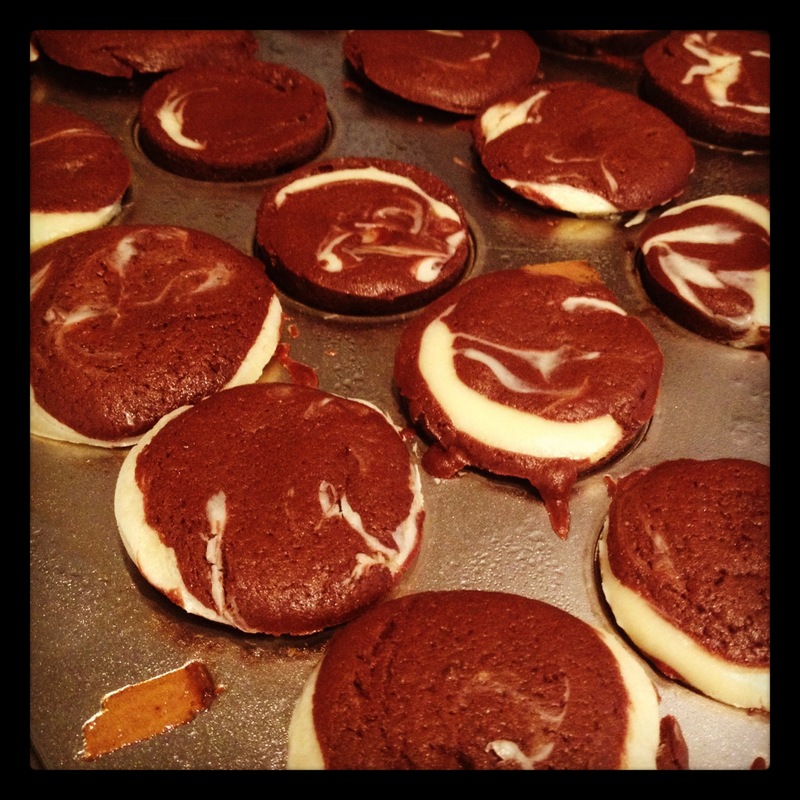 I can’t wait to make these again, they were a huge hit. 1. Preheat the oven to 350ºF. 2. In a large bowl, whisk together the eggs, baking cocoa, salt, baking powder, espresso mixed with water, and vanilla until well combined. 3. Stir in the sugar and melted butter until well combined, then stir in the flour. 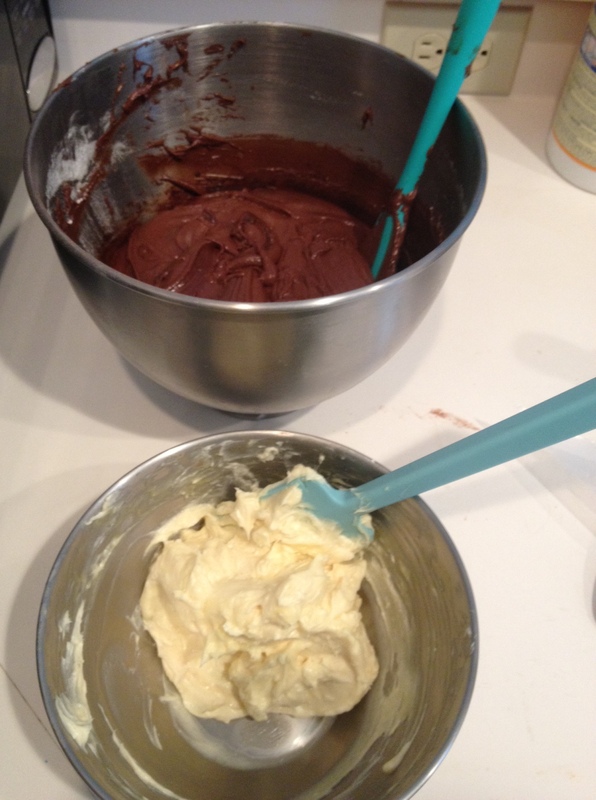 Set brownie batter aside. 4. In a separate bowl, prepare the cheesecake filling by stirring together the cream cheese, sugar and egg yolk until well combined. Transfer the mixture to a pastry bag or plastic bag. 5. Grease a non-stick mini-muffin pan with cooking spray and then spoon a tablespoon of brownie batter into the greased cups. Pipe a generous amount of cheesecake filling atop the brownie batter, and then top off each cup with an additional teaspoon of brownie batter. 6. Bake for about 12 minutes, or until a toothpick inserted comes out clean. 7. Let the brownie bites cool for 10 minutes in the pan and then transfer them to a cooling rack to continue cooling, or enjoy warm.